A local court in Muzaffarpur has issued summons to Aishwarya Rai and Hrithik Roshan to appear before it on May 30 in connection with a kissing scene in Dhoom 2 . District Judge HK Shrivastava Friday ordered issuing of summonses to them after taking cognizance of a complaint petition filed by an advocate Sudhir Kumar Ojha. 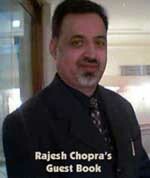 In his petition, Ojha alleged Ash, Hrithik, producer of the film Aditya Chopra and director Sanjay Gadhvi had hurt the sensibilities of the audiences by the "obscene" kissing scene. The court also ordered issuing of notices to Bihar government and proprietor and manager of a local theatre for allowing screening of the film despite "obscene" content. insult the modesty of a woman) of the IPC. UTV Motion Pictures gears up for Cannes Film festival 2007. On May 18, UTV will curl up curtains to showcase two of its tent pole upcoming projects - Jodha Akbar and Goal. The two films will be unveiled for the very first time at Cannes, which are scheduled to release across the world later in the year. 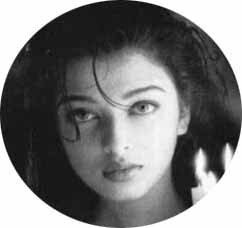 Film's director Ashutosh Gowariker along with lead actors Aishwarya Rai and Hrithik Roshan will be present at the Cannes unveiling of Jodha Akbar. John Abraham and Bipasha Basu who star in a sports action drama Goal, based on an Asian soccer league team will also be there for the screening. The film has been shot entirely in the UK. "Indian films have always raised the curiosity factor in the west. With the new wave of Indian cinema has been widely acknowledged and welcomed across the globe which is a great positive for us. This year we would unveil two of our upcoming movies both of which have been positioned as international projects with a universal appeal," said Siddharth Roy Kapur, Vice President, Marketing and Sales. Abhishek Bachchan and his wife Aishwarya Rai would be leaving early Friday morning on their honeymoon to the exotic locales of Europe. Sources close to the couple said the duo would be leaving by an early morning flight for France and be spending their time mostly there during their fortnight stay in Europe. The couple got married at the Bachchan residence `Pratiksha' in Mumbai on April 20. After the marriage, they first visited Tirupati temple in Andhra Pradesh along with Amitabh Bachchan . Meanwhile, the management of the Lord Venkateswara temple at Tirumala near Tirupati Thursday ordered a probe into "over-enthusiasm" shown by some officials in providing VIP treatment to newly-weds Ash and Abhishek during their visit to the shrine on Sunday. The Tirumala Tirupati Devasthanam Board also upheld a decision that VIP treatment would not be accorded to non- protocol celebrities like actors, industrialists and cricketers during their visits to the temple. Board Chairman B Karunakara Reddy told reporters that newly-appointed Executive Officer K V Ramanachary was asked to probe the "over-enthusiasm" shown by some officials in providing VIP treatment to Ash and Abhishek, which caused inconvenience to other people visiting the shrine. Ramanachary will submit his report within 30 days, he said. Reddy said "VIP-break darshan", whereby persons are allowed to enter the temple on priority for an hour in the morning and evening, would not be allowed on Fridays, Saturdays and Sundays. The price of the "VIP-break darshans" too was hiked from Rs 200 to Rs 500, and this will come into effect from May 1. The Board also decided to provide a free 'ladoo prasadam', now sold for Rs 25, to each person standing in the general queue from May 12, Reddy said.